Description: Covers the basic theory of flight, an introduction to elementary meteorology, the flight computer, basic navigation, radio navigation and federal aviation regulations. 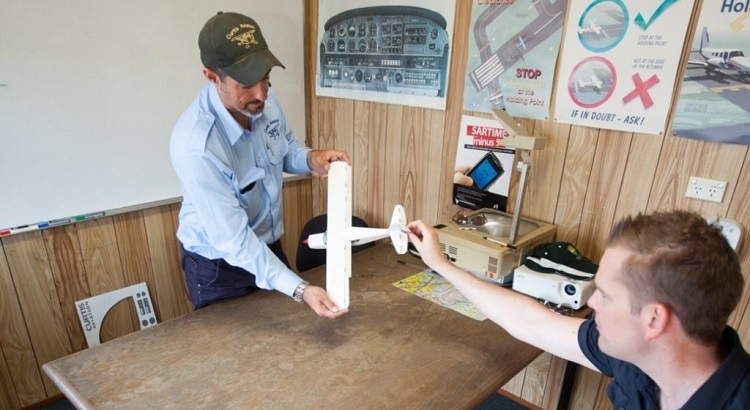 To complete this course the student is required to take the FAA private pilot written examination. Fall 2019 Day can be found here. Fall 2019 Evening can be found here. Each test is aligned with the associated chapters. There is some overlap, we have tried to note that where possible. In addition, any questions specifically referring to recreational pilots are not part of our test. Review SU1 in its entirety. Review SU2 in its entirety. Review SU3 in its entirety. Review SU9 in its entirety. Review SU7 in its entirety. Review SU8 in its entirety. Review SU4 for the questions on Vx and Vy. Review SU5 in its entirety. Review SU11 questions 39-52 to be completed with the flight computer. Note: you will be given the True Course (TC) and distance in Nautical Miles (NM) on the SU11 questions (if required). We will learn how to measure TC and distance in NM in the next chapter. Review SU6 in its entirety. Review SU10 in its entirety. Review SU11 in its entirety. The course final is similar to the FAA Private Pilot written exam, at this point you should be familiar with the entire book. Take advantage of the software in the library for practice tests and review these test taking strategies that will help with the final and your actual FAA written exam.